Many years ago, I shared my skincare routine, which consisted mainly of homemade (do-it-yourself) products. 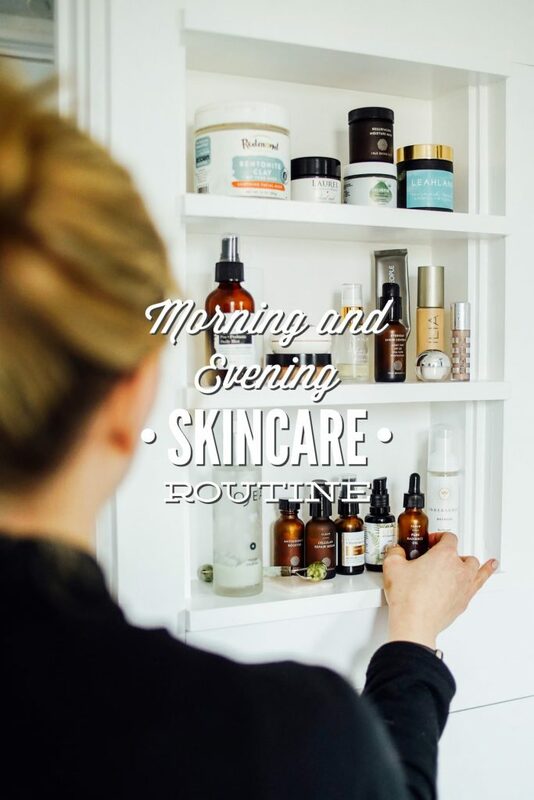 Then, a year ago, I shared an updated routine, which included mostly store-bought products. I think it’s really cool to watch the progression of my skincare routine. For one, it’s a testament to the fact that there are seasons for everything. This has certainly been true for my skincare routine. Second, this shows how just far “green” beauty (or non-toxic skincare–whatever term you prefer) has come in such a short time. You can create a skincare routine on any budget and with a variety of products, either homemade or store-bought. Remember, this is my routine. It’s not the end-all-be-all of skincare routines or products. That’s why I write posts like this one to provide you with a variety of product options in a variety of price points. We’re also going to talk in the future about how to create a non-toxic skincare routine on any budget. I don’t want anyone to think you have to spend $100 on a face oil to make the switch to non-toxic products. You don’t. You can create a simpler, homemade moisturizer with jojoba oil at home–and I did just that for many years. That’s also why I created Natural Body Care Simplified -to show you how to make products as well as what to look for when purchasing products. When I began my real food journey, which then brought about changes to my body and home products, there weren’t many companies making clean skincare products. I should say, it wasn’t easy to find companies making clean skincare products. By “clean,” I’m referring to products made with non-toxic or natural ingredients, which are made by companies that are transparent about these ingredients. Because of this, I had to learn how to make my own products. It’s encouraging to see the shift in the products available today. With the expansion of the internet and online bloggers and shops, it’s easier than ever to find clean skincare products. Now you can find makeup, nail polish, skincare products, and even cleaning products made with full transparency and safe ingredients. Today, we have the choice between making a product or purchasing a product. That’s amazing! I welcome this choice. 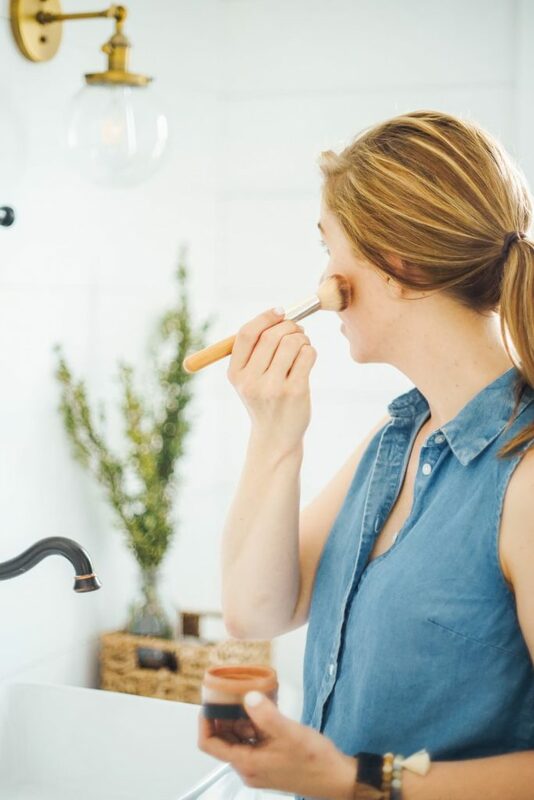 Because of this, I’ve shifted my focus here on Live Simply from 100% homemade products (when it comes to skincare, body care, and cleaning) to also talking about non-toxic, more natural store-bought options. 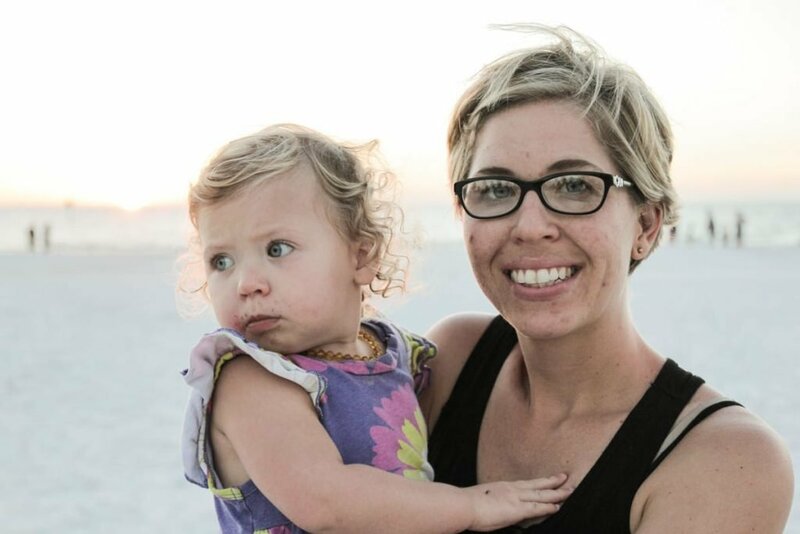 When I first started the blog, I was a stay-at-home mom with two small children. That was a season of life that allowed me to have more time to make things like deodorant and laundry soap and nourishing meals. Today, my season of life is different. As a working mom, my time is limited, so focusing on nourishing meals is my top priority. This means I buy most of my skincare products and some cleaning products, like laundry soap. My hope in providing recommendations for store-bought options, as well as offering homemade recipes, is to show people that a more natural lifestyle is possible no matter what stage of life you’re currently enjoying. The goal is to be intentional about what we use in our homes and put on and in our bodies. Don’t let the number of products in my routine scare you, or the price of some products.I’ve slowly added each of these products to my routine. I certainly didn’t purchase or try everything listed in this routine (or my previous routine) at once. I’m still interested in trying new products in the future (Tata Harper and Laurel Skin are on my list to try), but for now I absolutely love my routine. 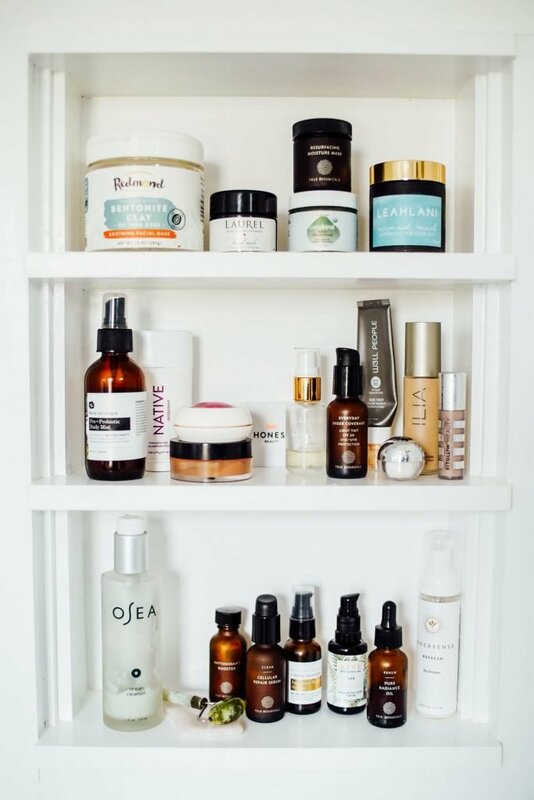 Most of these products last quite a long time (about 4-6+ months or longer–the antioxidant powder lasts the longest, the Marie Veronique Serum as well). I only need a very small amount of each products. My morning skincare routine is quick, simple, and to the point (about 5 minutes). That’s what I need in the morning. My evening routine has more steps/products than the morning routine. 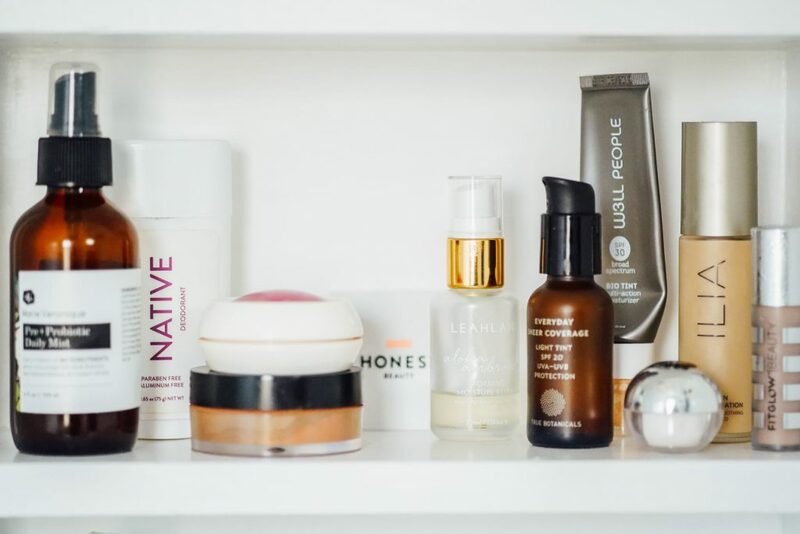 Does a nightly skincare routine need to include all these products? No. It’s important to find what works well for your skin. I’ve found a cleanser, toner, moisturizer, and serum (particularly for my aging skin) is my sweet spot. I’ve added in a couple of extras as well, because I’ve noticed a difference when using them. If I lived in the perfect environment (the perfect climate, no pollution, etc. ), I probably wouldn’t need something like an antioxidant powder or a intensive repair serum. But, I live in a big city, with pollution and stress and all the things. While healthy skin goes way beyond the products we use on our skin, I’m a big believer in nourishing our skin with beneficial ingredients. The products below have transformed my skin, and that’s why I continue to use them. That said, having healthy skin is about more than just skincare products. Skin health is about micro-biome and gut health, as well as hormone health, hydration (drinking lots of water), enjoying nourishing food, getting plenty of sleep, and stress load. 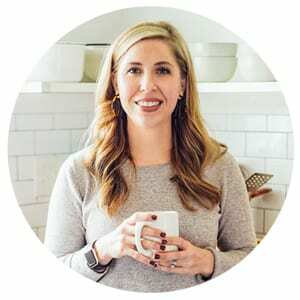 One of my favorite resources for learning about skin health (beyond just products) is Marie Veronique–the posts are science-based and holistically-minded. I also wrote about the practices that have improved my skin health. As you may know, I struggled with my skin health after having my second baby. 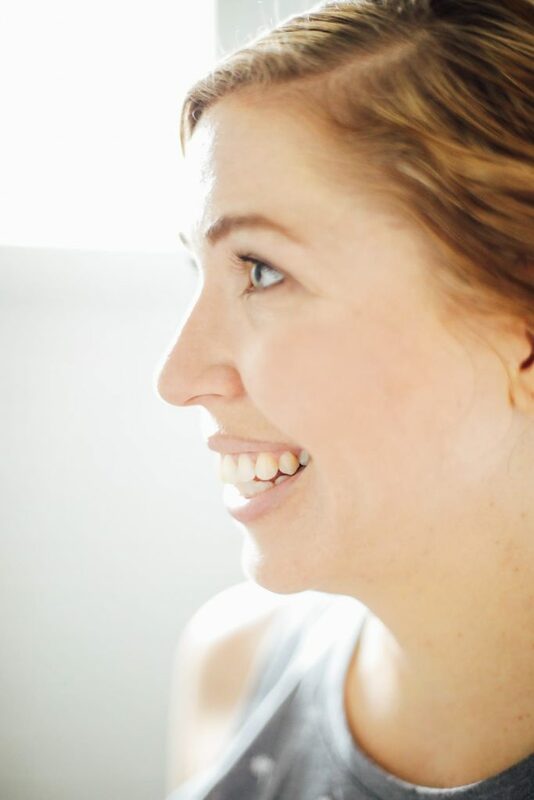 It was due to my own skincare “woes” that my passion for skin health was fostered. Today, I’m still learning how to take care of my skin and I love to share this knowledge with you. The goal of using these products isn’t perfection. The goal is nourished and healthy skin. Focusing on taking care of my skin (sleep, nourishing ingredients, nourishing meals, etc.) versus covering it up (the latter was my focus for years–how can I cover my skin and hide what’s there?) has made such a difference. I still use and love makeup, but my emphasis now isn’t trying to covering up; rather, my focus is taking care of my skin and loving my skin. Today, my skin is healthy and happy. It’s been a long journey. A journey I’m still on. Okay, now let’s get to the good stuff…my skincare routine and a video showing exactly what I use and how I use it. There’s no need to wash my face with cleanser first thing in the morning. Warm water is perfect, either from the sink or the shower. I don’t know if this product is technically a toner, but it was recommended to me as a toner by an esthetician. This is the best “toner” I’ve ever used. I’m addicted! This spray contains micronutrients that help to balance the skin and encourage microbial diversity. The idea of using oil on my skin once terrified me. Wouldn’t oil cause more breakouts? The truth is, some oils will cause breakouts. Coconut oil is the perfect example. While coconut oil works on some people’s face, it’s high on comedogenic scale which means it can clog pores. (Coconut oil is fine for the body, just not ideal for the face.) Some oils will actually nourish and balance the skin. True Botanicals makes my favorite skin oil, which is a carefully-crafted blend of several nourishing oils. This product has transformed my skin. Most lotions or facial moisturizers include oil, but the oil is diluted with other ingredients (water, a preservative if water is involved, etc.). When using a facial oil, your skin is reaping the full benefits of the oils in the product. This is why a facial oil is usually more expensive, but also more concentrated and beneficial. 2-3 drops of a facial oil is usually all you need at one time. I get this oil through the Sun and Moon Subscription, which saves a few dollars. My current subscription is set for every 4 months. If I’m wearing makeup, I’ll apply a makeup primer after the True Botanicals Pure Radiance Oil. This primer (which is an oil) helps my makeup to go on smoothly and “flawlessly.” I like to spend a couple of minutes massaging my skin with this primer before applying foundation. You can read about my makeup routine, here. In the evening, I splash my face with warm water, massage OSEA cleanser on my face, and then rinse with a wet, warm washcloth. A good cleanser shouldn’t strip the skin of its own oils or disrupt micro-biome (as so many harsh cleansers do). A good cleanser should be gentle, but also effective in removing dirt and cleansing the skin. The OSEA cleanser is gentle and leaves my skin feeling clean and super hydrated. One bottle lasts me about 4 months. We already talked about this wonderful toner. After cleansing, I use this toner again in the evening. I rotate between these “extra” products throughout the week. Marie Veronique Intensive Repair Serum keeps any hormonal breakouts or any breakouts for any reason at bay. This serum is tingly when applied and super effective. When I’m not using the Intensive Repair Serum, I’ll turn to the True Botanicals Antioxidant Powder. This powder must be mixed with water or a serum. I’ve been mixing it with the True Botanicals Cellular Repair Serum. I picked this up during the company’s once-a-year-sale. This is a new product in my skincare routine. Hyaluronic acid is the key to hydrated and smooth skin, which is why I decided to add it to my skincare routine. This oil is liquid gold and my go-to moisturizer in the morning and evening. When it comes to a skincare routine, you have to find what feels good and works best for your skin. There are three basics you need to consider when creating your own skincare routine. In this post, I share how to create your own skincare routine (the basics you need) and how to customize that routine with non-toxic products. Are there any discounts codes for the skin care products? I checked out the True Botanicals Pure Radiance Oil, and it is $110. Thanks! Hey Carole, The best discount for True Botanicals is with their Sun and Moon Subscription–that’s how I order mine. My bottle lasts about 4 months, so I breakdown the cost that way (how much it costs me per month so to speak) and also helps to know how often I need the subscription delivered. They do offer a once-a-year sale around Black Friday time–that’s a great time to try something from their line. Pure oil moisturizers tend to be on the pricey side since they aren’t cut with anything (water, etc. like a lotion which tends to be cheaper) and they use multiple oils in their blends. I really wish it was cheaper and they had regular sales. For now, the Sun and Moon subscription (on their site) is the best option for saving a few dollars. I just emailed someone I know from True Botanicals and asked if there are any active coupon codes available. I’ll let you know what I hear soon. Also, when you first go to their website I believe they have a pop up that offers a percentage off your first order with them. And I believe you can combine this with the sun and moon subscription for even greater savings! I think it’s like 10% or something like that. Hi Kristen – Curious, is there a moisturizing LOTION that you would recommend? I am in this adult acne (and now working with a functional medicine doctor) phase (which I have NEVER had any issues with!!) and the oils just don’t seem to be enough hydration right now. Strange, but with all the acne, my skin is also dreadfully dry and flaky! Something else that may work really well for extra hydration is the new True Botanicals Hydration Mask: http://shrsl.com/1gpav One of the key ingredients is hyaluronic acid, followed by mango butter and squalane. Hi Kristen- thanks for this! Do you have any tips/steps on how to go about finding the right products for yourself and putting together a skincare routine? I’m interested in a couple of the products you mentioned, but I’m not sure how/where to start integrating everything into a routine that works as a whole. Hey Julie, Perfect timing! 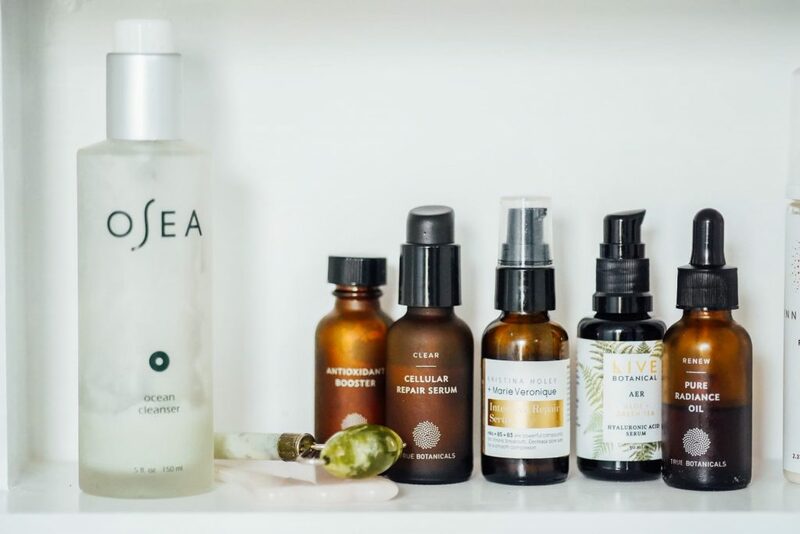 I just wrote a post about this very topic last week: https://livesimply.me/2019/03/08/non-toxic-natural-skincare-routine/ Let me know if you have any questions.